Mining technology research organisation Mining3 is seeking to benchmark the accuracy and reliability of proximity detection systems, the units fitted to autonomous trucks to help them avoid collisions. The group – a partnership between Cooperative Research Centre for Mining Technology and Equipment and CSIRO’s Mineral Resources group – is hoping to develop a “safely executable field test program” so mining companies can test the systems which are becoming ubiquitous in the sector. Proximity Detection Systems (PDS) work by detecting when a person or vehicle is close by, and if so, responds by sounding an alarm, flashing a light or in some cases, halting the autonomous vehicle completely. They are widely used in the mining sector, which is pursuing greater automation of its haulage vehicles and machinery. 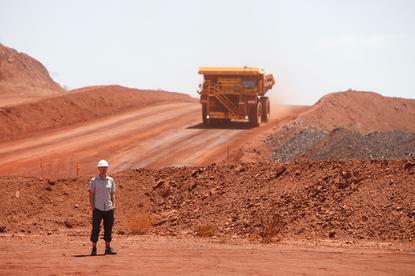 Australian iron ore miner Fortescue, for example, is retrofitting 100 huge mining trucks with autonomous haulage systems (AHS) at its remote Chichester hub, aiming to more than double its self-driving fleet. BHP, Roy Hill and Rio Tinto have also rolled out autonomous trucks across their operations in Australia. But accidents happen. Fortescue last month revealed one of its driverless trucks, travelling at low speed, ran into another that was parked at its Chichester, Pilbara site. It is unclear what caused the accident – the company’s CEO Elizabeth Gaines saying in a statement it was “not the result of any failure of the autonomous system" – but the news has shone a spotlight on the true capabilities of driverless mining vehicles. Mining3 said effective implementation of technologies like PDS to-date are “rare due to a general lack of understanding (or misconception) of the technology’s true capabilities and limitations”. “Reliability and functionality claims made by suppliers are not easily verifiable by the end user, at least not relative to any known framework, methodology, or standard. Additionally, there are many PDS units and multiple sensing technology categories used such as radio frequency, infrared, radar, ultrasonic, LIDAR, and combinations thereof,” the group said. The difficulty in selecting a PDS unit is further confounded by the lack of information about how it will work in their specific circumstances. “This leaves mining companies ill-equipped to decide which system type and functionality is best suited to their particular needs. Simply put, mining companies and suppliers do not have a consistent assessment protocol available to put the systems through their paces to determine how well a particular system might work for a given site,” Mining3 explained. The end result of the work will be a “PDS Validation Framework that is scientifically rigorous yet practical for site to implement,” the group said. Mining3 is working with the Australian Coal Association Research Program (ACARP) and Earth Moving Equipment Safety Round Table (EMERST) to develop the framework, and will be engaging with experts to ensure it works out in the field. The USA and South Africa have legislated the requirement of PDS. The systems are not yet a legal requirement in Australia, but mining regulators in New South Wales and Queensland have both released guidance notes encouraging miners to introduce them. “With the global mining industry moving towards the legislated adoption of PDS, they are becoming a critical control measure for improving safety in mobile mining equipment,” Mining3 noted.